People love to eat tasty foods. Food is not unique all around the world. 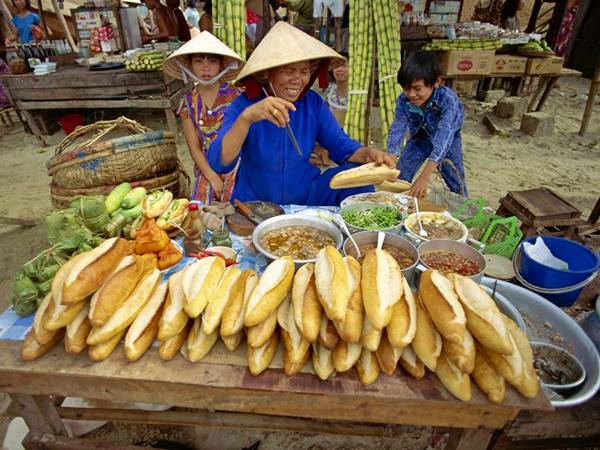 Different parts of the world have their own foods. 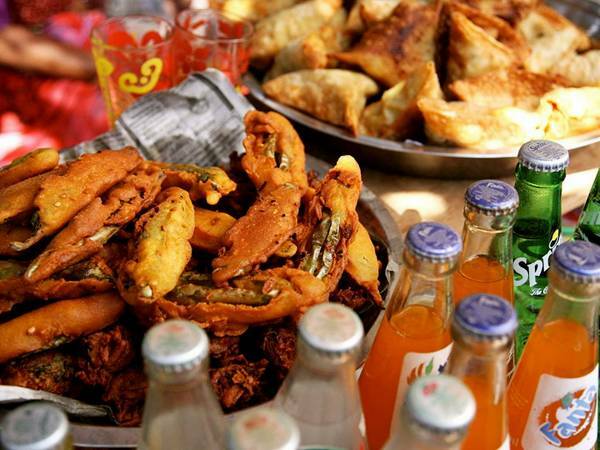 But now a days most of the people prefer fast-foods as they can be easily which can be easily found in streets. unfortunately they are not good for health. 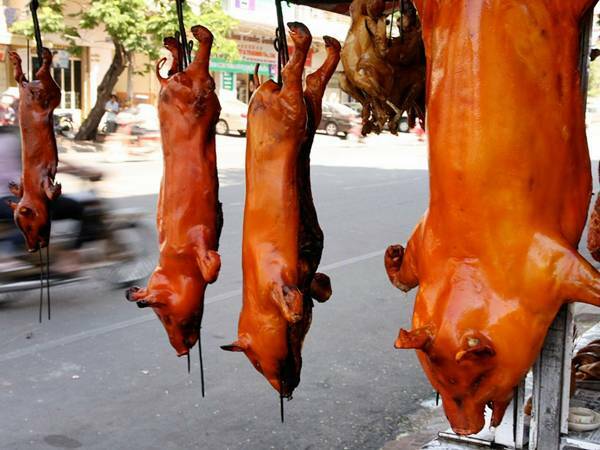 Anyway let's have look at some of the famous fast food around the world. Seviche is a common dish throughout Latin America. 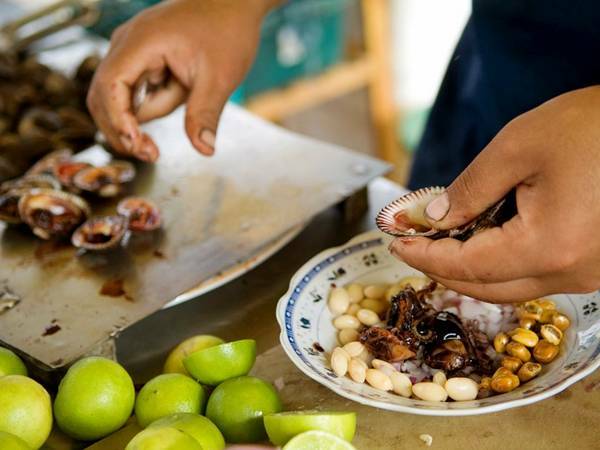 Typically, this snack is made from a mixture of raw fish with seafood marinated in citrus juice, in this case in lime juice. Not necessarily speak the Khmer language, to understand the contents of the tray menu street in Phnom Penh. To date, pork is the most popular type of meat. On these trays can find only the best kinds of sausages. 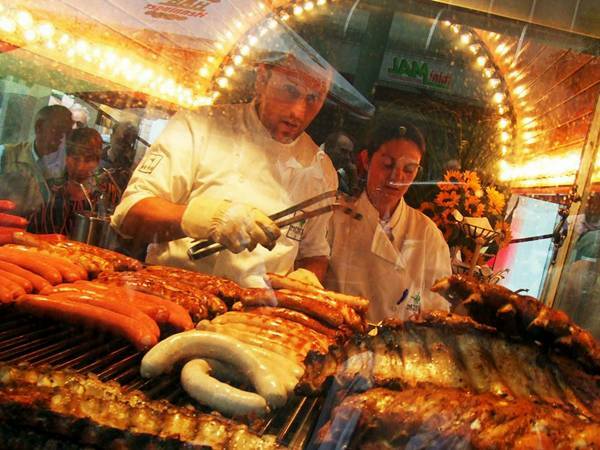 Residents of Germany are very fond of bratvurst, bokvurst and other deli delights with a glass of delicious German beer. 04. 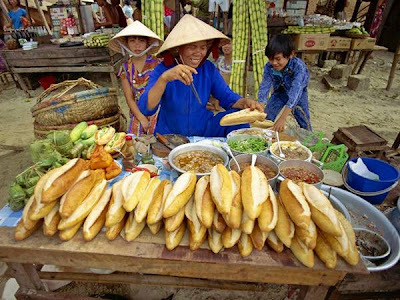 Banh Mi sandwiches, Vietnam. This sandwich is made from French baguette, which contains delicious meat and vegetables. 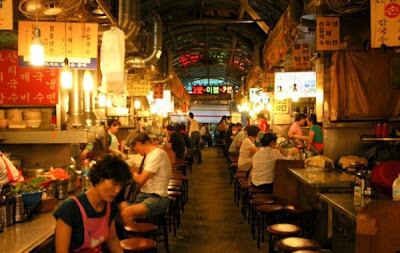 It is ideal for breakfast and is very popular among local residents. 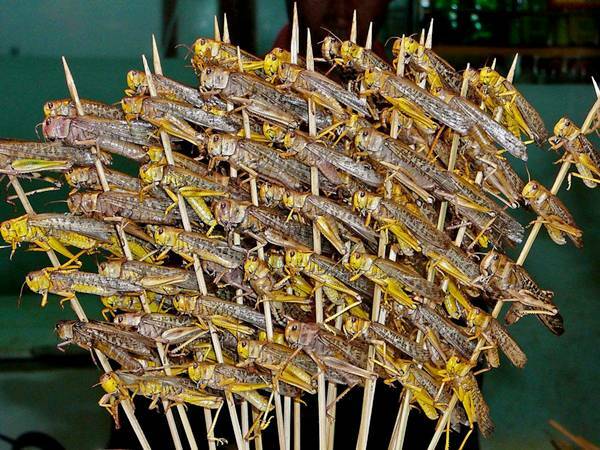 Grasshoppers on skewers are always surprised by western tourists, but at the same time, Chinese traders love them dearly. These days, eating grasshoppers is no surprise. Organization of Food and Agriculture Organization says that the world consumed about 1,400 species of insects. Holidaymakers on the beach of Goa is not always enjoy the local goodies away. Here you'll find samosas, chicken, various soft drinks. 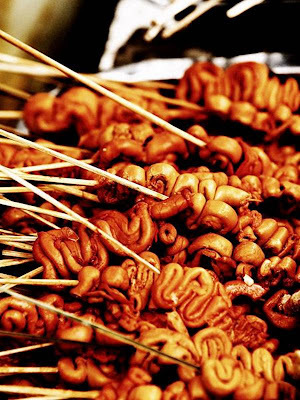 Esau decoy - Filipino dish that is chicken entrails on skewers. Offal first marinated and then roasted on a grill or broil just strongly. 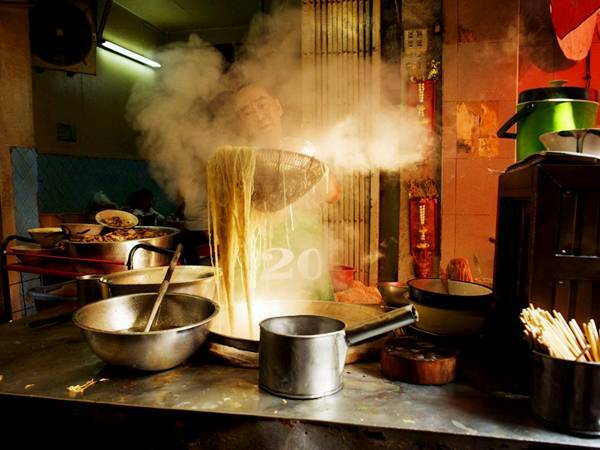 Chefs cook the noodles so ably on an open fire, that passers-by just can not resist. One of the favorite Chinese "city snacks" are dumplings. 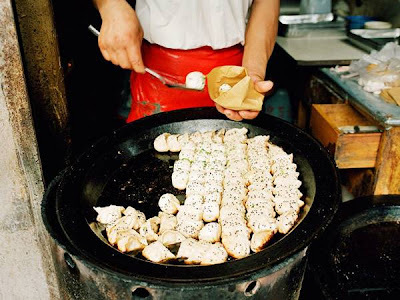 This dish is common throughout Shanghai. Filled to the brim with mint and chunks of sugar, tea glasses Moroccan waiting in the wings. 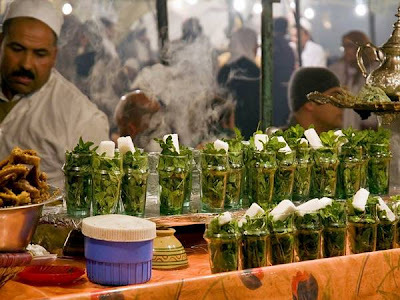 Tea and drinking it - an integral part of Moroccan culture.